Treatment demand for gambling decreased by 10% in 2015. Gambling related problems mainly occur among men. Since 2010, the appeal for treatment due to gambling has declined. 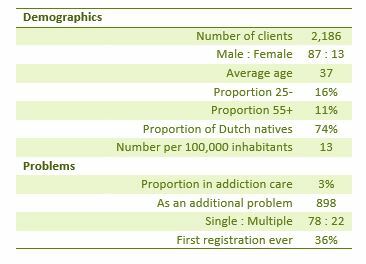 People requesting treatment with gambling as the primary problem are mainly men around 40 years of age.